Steven Franks, Vrinda Chidambaram, and Brian Joseph, eds. For nearly fifty years E. Wayles Browne has been a unique and almost irreplaceable intellectual resource for specialists in Slavic linguistics, working on a myriad of topics in a variety of languages and from a range of theoretical perspectives. He has been a subtle yet persistent force in bringing Slavic puzzles to the attention of the larger world of linguists and in defining the larger significance of these puzzles. 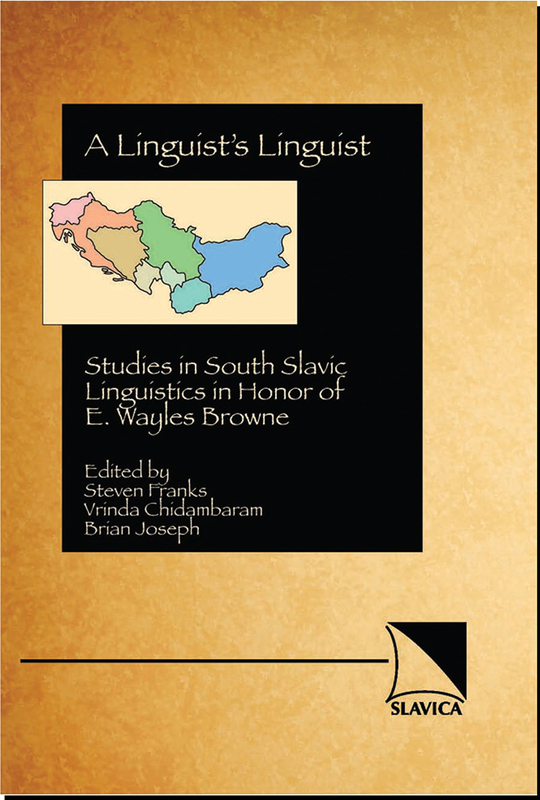 The present volume brings together a leading cohort of specialists in South Slavic linguistics to celebrate Wayles Browne's body of works in this area.